2015 SUV in San Antonio: 2016 Honda Pilot Revealed! And these are just some of the highlights of what the 2016 Honda Pilot will offer. If you want to learn more about the new Pilot or any of the 2015 Honda models on the market, get in touch with us at Benson Honda! The Odyssey has safety extras like daytime running lights and available collision and lane departure warning systems. The Town and Country doesn’t offer these distinguishing safety specs. The new Honda Odyssey was one of the few minivans named a “Top Safety Pick Plus” by the IIHS. The Town and Country did not earn this title. The new Honda Odyssey boasts an available in-vehicle vacuum for its Touring trim level. The Town and Country doesn’t offer this super handy feature. Consumer Reports predicts that the 2015 Odyssey will be 31% more reliable than the 2015 Town and Country. Motor Trend found that the new Odyssey accelerated faster than the new Town and Country in speed tests. The Odyssey’s larger tires give it better traction than the Town and Country. The Odyssey’s 18-inch wheels also give it an edge in terms of handling in comparison to the Town and Country’s 17-inch wheels. Fully independent suspensions and speed sensitive power steering also enhance handling in the Odyssey. Without these features, the Town and Country may be more difficult to maneuver. The Odyssey seats 8 passengers, while the Town and Country only seats 7. Computer-generated active noise cancellation keeps the Odyssey quieter than the Town and Country, which doesn’t have this feature. According to Kiplinger’s, the Odyssey offers a superior resale value to the Town and Country. And Intellichoice estimates the Odyssey’s five-year ownership costs are less than the Town and Country’s. Ready to get to know the 2015 Honda Odyssey better? Get behind the wheel of one at Benson Honda! Benson Honda is here with some very exciting news about the 2015 Honda Fit! The National Highway Traffic Safety Administration (NHTSA) just finished fully testing the new Fit in their rigorous series of crash measures, and the Fit passed with flying colors! In fact, the NHTSA gave the new Honda Fit an overall safety rating of 5 stars. This is the top score given by the government testing administration, and it’s quite an honor for the Fit! Because of their small bodies, it’s hard for subcompact cars to ace crash tests. The Fit, however, goes above and beyond with its next-generation Advanced Compatibility Engineering (ACE) body structure. It did exceptionally well in front and side-impact crash tests administered by the NHTSA. 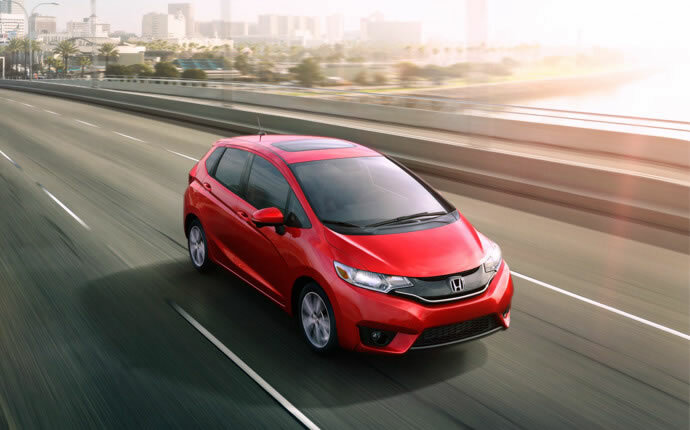 The 2015 Honda Fit is also an Insurance Institute for Highway Safety (IIHS) Top Safety Pick. In order to receive this title, the Fit had to perform well in a number of rigorous safety measures. The IIHS and the NHTSA are the two major safety-testing organizations in the U.S. The Fit’s comprehensive suite of safety features also gives it a distinctive edge in terms of safety. Things like a standard rearview camera, motion-adaptive electric power steering, hill start assist, blind spot mirrors, and available Honda LaneWatch set the Fit apart from the competition. Interested in a subcompact car that stands out from the pack as a safety leader, that’s earned prestigious accolades from both the NHTSA and the IIHS? Consider the 2015 Honda Fit at Benson Honda! Let us know if you want to test drive a Fit soon! We’re ready to hand over the keys!